Offer evolution, new opportunities for the age of digital continuity. Gian Paolo Bassi brings more than 25 years of experience in 3D, CAD, and PLM industries to Dassault Systèmes SOLIDWORKS Corp.
As CEO, Gian Paolo spearheads the development of SOLIDWORKS’ future product and technology strategies designed for the desktop and the cloud, and collaboration with the brand’s user community. He most recently served as the vice president of research and development, where he was responsible for charting future product and technology strategies, including the development of the brand’s cloud applications. Prior to SOLIDWORKS, Gian Paolo was the founder and CTO of RIWEBB where he oversaw the development of new technologies for the Mechanical and Architectural Design Automation industry, collaborating with companies like Dassault Systèmes. 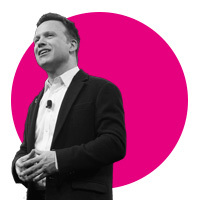 Prior to RIWEBB, Gian Paolo served as vice president and CTO of ImpactXoft, where he led the team developing functional modeling and collaboration applications which are now part of CATIA. In this position, he co-invented three of his five patents in functional modelling. He also served in the R&D organisations of companies like Computervision and think3. Gian Paolo holds a degree in Mechanical Engineering from the University of Bologna.